Need to spruce up your space, stat? Swap boring and useless decor pieces with Lakdee’s fun and practical ones. Plus, they work as nice gifting options too. A colourful box with carved woodwork will look pretty on any coffee table. But what if that box also was a storage box to put your TV remote in so that you don’t lose it under the couch again. Fun and practical, right? That’s what the collection of functional home decor pieces by Lakdee is all about. A Bangalore-based brand, that brand stays true to its name (it means wood in Hindi) and does all its decor pieces in wood. Just like the carved woodwork box we mentioned above, there’s plenty of options available to jazz up your space — be it your living room or bedroom. So whether you are looking for a complete overhaul or just quick change up the collection of multi-purpose boxes, placemats, and trays will work in your favour. Besides, the INR 400 price range also works for anyone who’s looking to decorate on a budget. The entire collection is available at Unfactory, a curated marketplace for indie artists, and we found ourselves liking quite a few options. For instance, though the rule of thumb calls for books and flowers on a coffee table, we found ourselves thinking how this set of four boxes with wooden motifs on the lid will look nice with potpourri, candies, and knick-knacks. Even this centrepiece that can hold a terrarium and a candle will play at its part on the coffee table and possibly even the dining table. The multi-purpose boxes are for all you storage freaks who are always on the hunt for a pretty options to store anything from jewellery to watches. 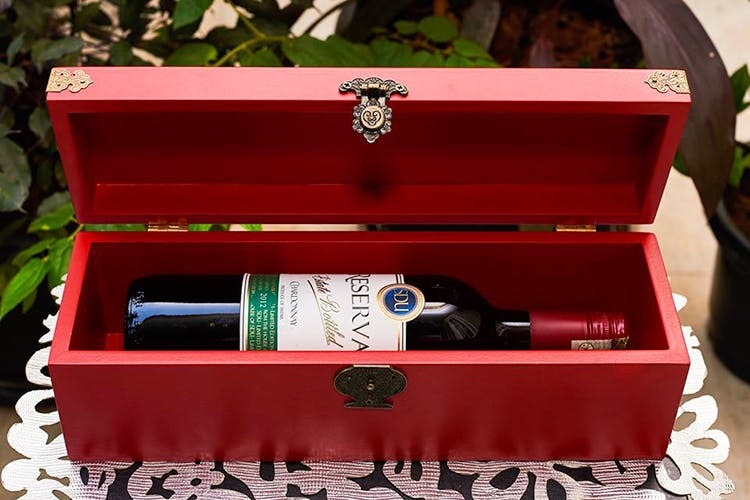 Do check out their wine boxes too because they are not your boring kinds. They come in red, yellow and blue and can moonlight as cutlery holders too. Okay, before we get ahead of ourselves, you can check out their entire collection here.